Lisa Moore is a Certified Nutritional Practitioner (CNP) whose goal is to provide practical solutions to people who suffer from medical conditions and/or allergies that are aggravated by the standard North American diet. Lisa believes there is so much more that accompanies the initial diagnosis of allergy or disease, and believes it is important to provide clients with appetizing options and alternatives, along with the emotional guidance necessary during the transition to wellness. She knows how wonderful it feels to maintain a clean and balanced lifestyle and is really excited to be an inspiration and educator for others. Lisa approaches her client’s wellness objectives individually because she has found that each person has very different needs. Her strategy is to first identify what items are creating the inflammatory response for the individual, then provide the guidance necessary to successfully eliminate these items so that the healing may begin. In addition, she looks for other lifestyle issues that may be preventing the individual from achieving optimal health. Lisa’s approach stems from her own experience healing from an autoimmune disease. She was diagnosed with Celiac disease as an infant in 1971. As a result of her disease, Lisa became very aware of food labeling and ingredient lists at a very early age. However, while in university, Lisa went off track and began eating gluten on a regular basis, despite the negative effects it had on her body. By the time she made the conscious decision to change her lifestyle and begin healing, she was 50 lbs overweight, in constant pain and suffering from anxiety. What’s more, due to the constant exposure to gluten over-triggering her immune response, she also developed Hashimoto’s Disease, which is another auto-immune disease affecting the thyroid. She has avoided meat and poultry for over 30 years and is highly sensitive to dairy and sugar, which further reduces the variety of foods that can satisfy both her sensitivities and her palate. As a result, Lisa knows how difficult it can be to maintain a healthy, but heavily restrictive diet. She believes that learning to be patient with yourself is the most difficult and most essential challenge when working towards achieving overall health and wellness. She lives medication free and eats whatever she wants because she no longer craves the foods that she is reactive to. 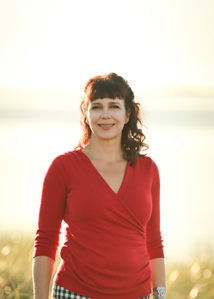 Lisa is a Certified Nutritional Practioner, has a bachelor’s degree with a joint major in sociology, anthropology and linguistics and a master’s degree in communications with a specialization in international and intercultural relations. She has completed levels 1 & 2 of Autonomic Response Testing at the Klinghardt Academy and is Reiki Chuden and Bars Certified. Lisa Moore presented at the 2014 Gluten Free Expo about the link between Celiac disease and eating disorders, and how eating a plant based diet and superfoods can help. Watch the video below.